Above: Detail "Chilean Sea Bass" Below: Detail "Chilean Watermelon"
"The chili peppers began a couple years ago when I was planning an open house. 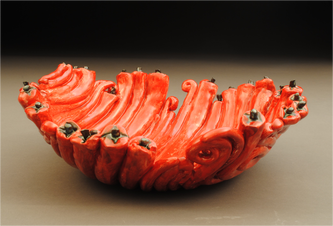 Chili was the main dish, so I decided to make some chili bowls on which I sculpted one miniature chili pepper each. 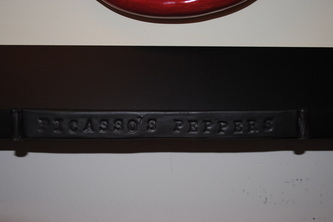 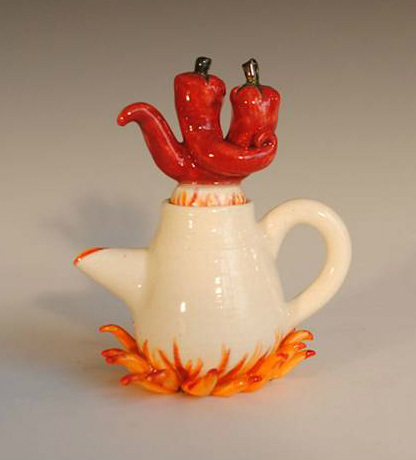 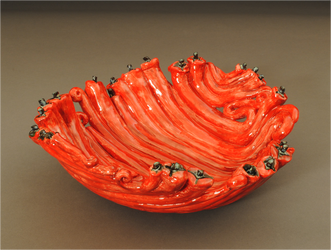 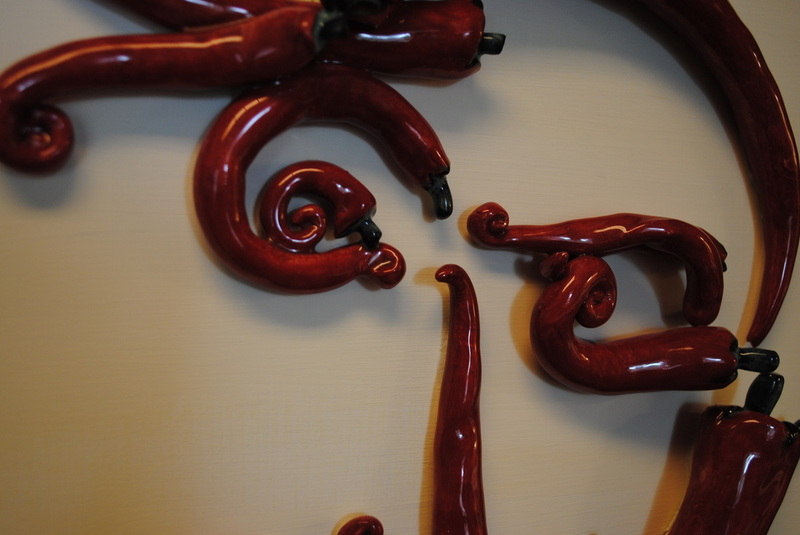 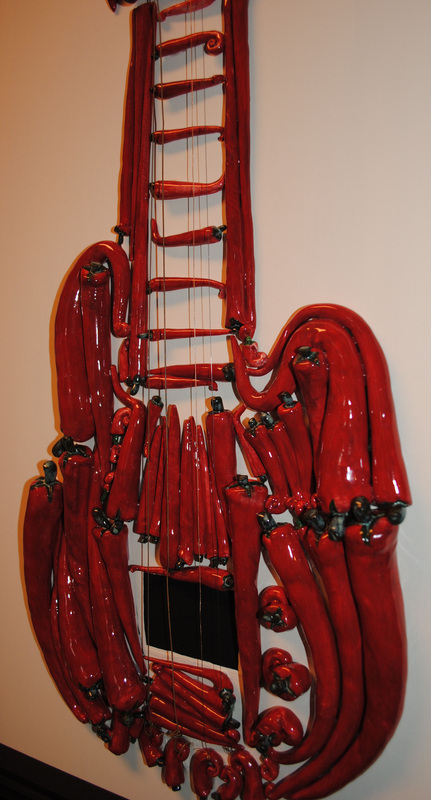 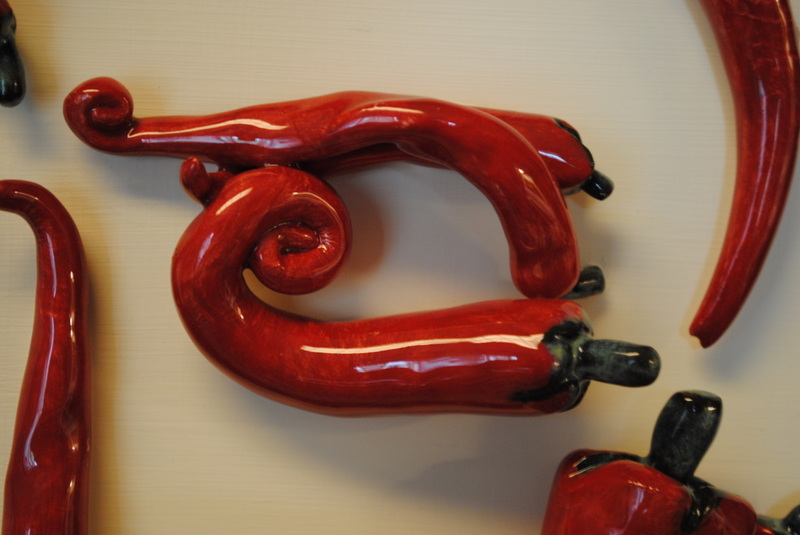 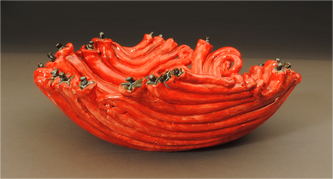 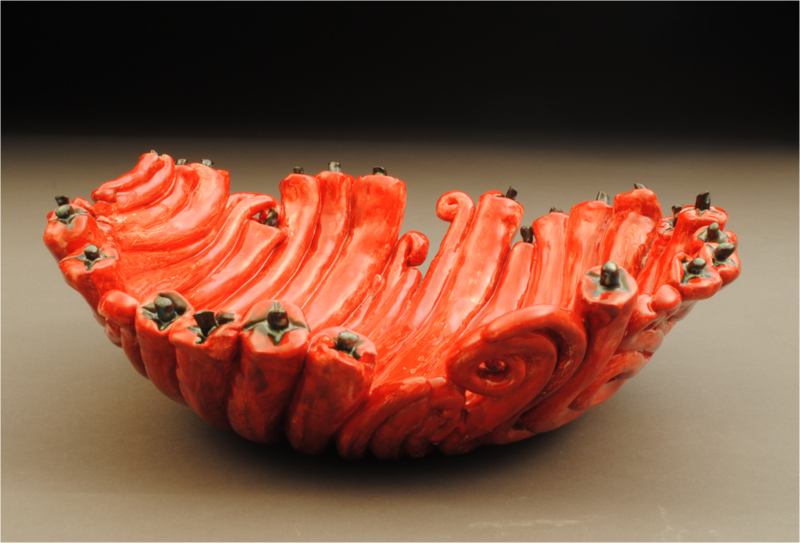 After the open house, I started playing around with more chili pepper ideas—I enlarged them, grouped several together to create a spoon rest or a large bowl, animated them by sculpting them doing yoga stretches because I was interested in taking up yoga at the time…Now, my chili pepper reliefs and sculptures have developed into whimsical, animated and humorous works. 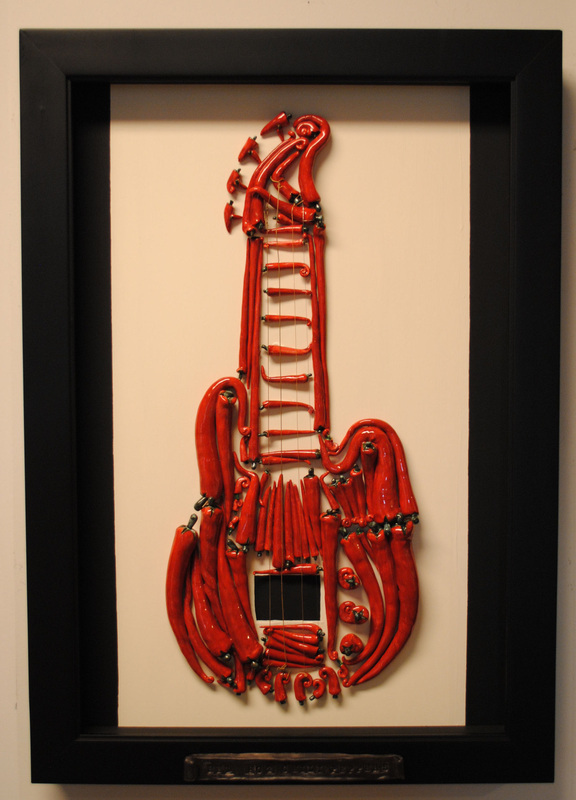 One of the aspects I love most about working with chili peppers is the plethora of words that are associated with them: Red, Hot, Spicy, Fiery, Salsa, Kitchen, Pepper, Chilean...In this body of work, my titles are usually essential to the meaning of each piece."